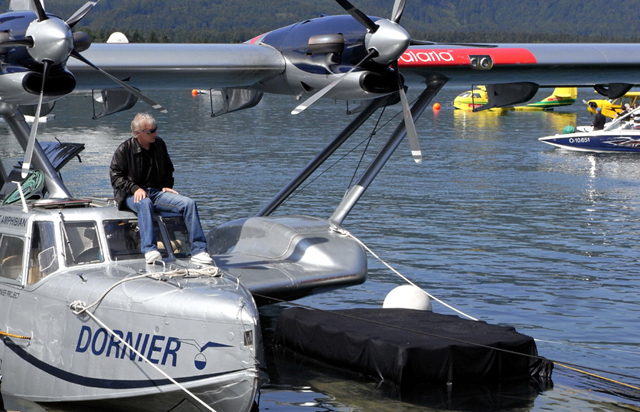 Iren Dornier is an very important person in the Scalaria Air Challenge, we made an interview with him on his new two seater plane and the European water flying. Click on the picture and you can see how are preparing model girls for a fashion show on the wings of the Dornier Do-24ATT. We made this video interview after a rainstorm.